Sage Publications Ltd, 9780761955122, 200pp. Explanations of how identities are constructed are fundamental to contemporary debates in feminism and in cultural and social theory. In an important addition to this literature, Formations of Class & Gender demonstrates why class should be featured more prominently in theoretical accounts of gender, identity and power. 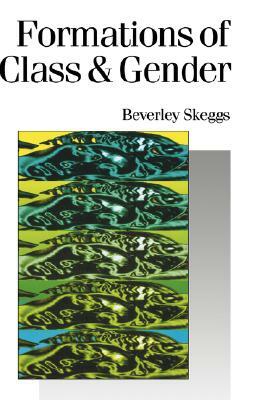 Beverley Skeggs identifies the neglect of class, and shows how class and gender must be fused together to produce an accurate representation of power relations in modern society. The book questions how theoretical frameworks are generated for understanding how women live and produce themselves through social and cultural relations. It uses detailed ethnographic research to explain how real' women inhabit and occupy the social and cultural positions of class, femininity and sexuality. As a critical examination of cultural representation - informed by recent feminist theory and the work of Pierre Bourdieu - Formations of Class and Gender is an articulate demonstration of how to translate theory into practice. This will be the standard referenced ethnography on class and gender, and will be required reading for students and researchers in women's studies, cultural studies and sociology.